Cornwall is a beautiful county. With miles of coastline and many areas of outstanding natural beauty, it is no wonder far over half a million people opt to live within its catchment. Falmouth, a university town and cruise destination on the South Coast, was recently crowned as the place with the most residents, topping the previous position of St. Austell. Complete with a stunning cathedral, Truro is the capital and only city in Cornwall, and it has recently put in a bid to be the City of Culture for 2023. Historically popular with artists and poets alike, the county has always been a great inspiration for creativity, something which Falmouth University has always tried to reflect. With its high turnover of visitors in the summer months and fluctuating populations around the year, Cornwall’s waste management services are not the most straightforward, even for domestic collection. Add to that the vast amounts of seagulls and their ever hungry beaks ripping bins apart and idyllic towns can quickly become eyesores with unsightly rubbish falling out of refuse areas. Unlike other parts of the country, Cornwall still operates on a weekly refuse collection and has kerbside recycling facilities just once a fortnight. Largely rooted in tourism, businesses in Cornwall need to ensure their waste is covered to avoid the seagull issue. Whilst tourism, and therefore hospitality makes up a large number of the trade within the county, EU funding has seen a large increase in commerce and industrial spaces are on the increase. No matter what the nature of the business, all businesses generate some waste and due to legislation, this needs to be kept for no longer than three days before collection. It must also be covered. With Cornwall being an area with large seagull numbers and many AONBs, it is vital to ensure that business refuse is not contributing to any problems such as littering or infestations. We provide site specific services to manage and collect all business waste, from general waste to clinical waste and from cardboard to glass recycling. With a commitment to saving businesses money on landfill and contributing to reducing waste sent to landfill, our specially assigned staff sort through waste to ensure nothing is wasted! We believe in keeping the beaches clean and in order to help businesses do their bit, we offer regular collection and disposal for all types of business waste. We will asses your specific needs in relation to your refuse output, storage and the cost we believe you should be spending. From here, we will create a schedule to suit your needs. We will provide you with the necessary bins to keep refuse and recycling in. Our staff will collect all business waste on specified days and sort through it to ensure everything goes to its correct place. 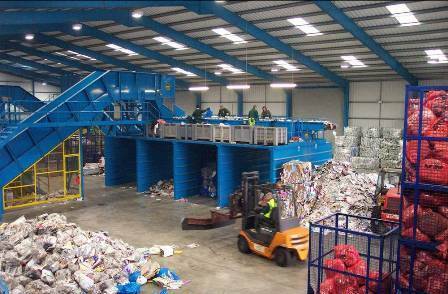 Do not hesitate to contact us today to arrange your business waste management in Cornwall. Business Waste offers commercial waste services for business and commercial organisations throughout the Cornwall area. Domestic kerbside recycling occurs once a fortnight in Cornwall, and this is usually on the same day as refuse collection. Since 2014, there have been charges for taking refuse to any of Cornwall’s recycling facilities such as those at St. Day and Longdowns. Business recycling is run separately, and through enlisting expert services, you can significantly reduce waste and save on collections. We can offer collections tailored to your business, be it from Bude to St Buryan or Marazion to Marhamchurch. Rather than adhering to days allocated to you, we offer you the chance to select collection days that suit you and your business needs. For example, being largely tourism driven, many places will be much busier over weekends than throughout the week, so we can create a schedule for you to incorporate this factor. Where can i report my missed home bin collection? You can only do this by contacting Cornwall council and the best way is via their website.